Designing a branding message includes creating a slogan and message to identify your staffing firm and using that brand to distinguish your firm from your competitors. 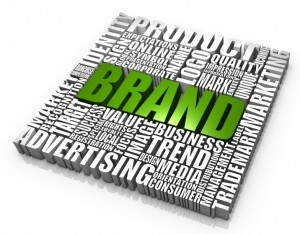 A great branding message conveys a certain feeling and allows your target audience to relate to your message. It is imperative that your brand has meaning behind it; brands are not just a pretty image to place on your business cards. When designing the branding message for your staffing firm, be sure to avoid the following mistakes. The first step in designing a branding message for your staffing firm is to carefully identify your target audience. Who do you want to speak to and what do they want to hear? Your message must appeal to your identified target audience on an emotional level in order for it to be successful. People love to tell others about a brand or service they have used, so be sure to create a meaningful branding message that resonates with your target audience. The underlying principle is simple; if people are unable to remember your message, they won’t be able to repeat it to others! A lack of differentiation is one of the most important branding message mistakes your staffing firm must avoid. Differentiation is essential to the long-term profitability of your staffing firm. Identify those services that set your staffing firm above others in your area and let clients and candidates know that you are able to competently deliver those services. When designing your brand, consider the branding messages of your competitors. You must communicate to potential clients and candidates that there are compelling reasons to choose your staffing firm over another option. Your branding message should set you apart from the competition. Branding is more than just a logo or a service. Branding is a promise of quality and a testament to your staffing firm’s reputation. If you are known to provide excellent service and deliver qualified candidates to your clients, you are sure to get repeat business. If your reputation is not stellar, your bottom line is bound to suffer. It is important to remember that your staffing firm’s branding message represents more than just the company itself; you must be sure that your staff knows that they must understand and exemplify the company branding message. Your brand needs to be front and center in your entire organization. Taking your clients and candidates for granted is another one of the branding message mistakes your staffing firm must avoid. Brand loyalty is earned through hard work and living up to your promises. Your branding message must cover all areas where a potential client or candidate may form an opinion about your staffing firm; your logo, website, social media interactions, the message delivered by your sales team, and the interactions between recruiters and candidates. A great brand starts out with lots of planning and a strategic process for its implementation. Devote adequate time to the planning stages to ensure your branding message extends to all areas of your staffing firm. A plan that is not well thought out or does not permeate through your entire organization is ineffective and does not promote brand recognition and the value that today’s clients and candidates demand. Failing to engage in ongoing brand building efforts is another one of the branding message mistakes your staffing firm must avoid. Even after you have rolled out a great branding message, you must remember to constantly re-evaluate your practices and those of your competitors. Superior brands are constantly working to out-perform their competitors, and you must convey this idea to your staff. An effective brand message provides motivation and direction for your team and encourages them to meet the expectations and goals established by your organization.